* U.S output projected to average 10mbpd in 2018…. Oil prices tumbled in the second quarter, swinging into a bear market as many investors who at the start of the year clung to hopes of rapidly shrinking stockpiles finally cut their losses, reports Wall Street Journal. 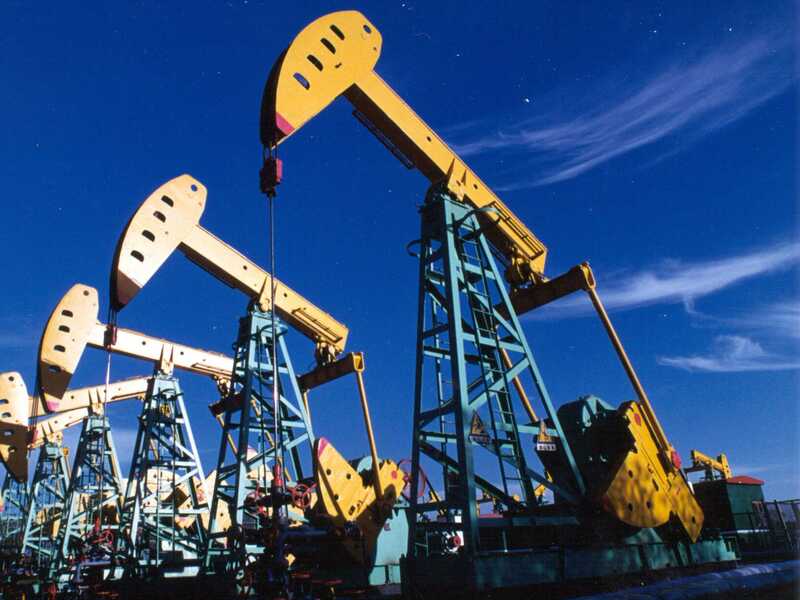 Crude ended the quarter nine percent lower, and sank as much as 21.9 percent in June from highs in February. A loss of 20 percent or more typically signals the start of a bear market. It is a sharp shift from the first months of 2017, when investors had been divided over whether members of the Organization of the Petroleum Exporting Countries would stick to pledges to cut output, but generally believed those cuts would help ease the global supply glut and lift prices. For a time, it seemed almost nothing could shake oil investors out of their malaise. Prices fell even after OPEC announced it would extend its cuts into next year and the U.S. Energy Information Administration reported that U.S. stockpiles fell nearly every week during the quarter. At the same time, U.S. output has risen more quickly than many predicted: The EIA is now forecasting that it will average a record of 10 million barrels a day next year. Output from Libya and Nigeria, OPEC members exempt from the production-cut agreements, has ramped up as well. Hedge funds and other speculative investors have piled into bets on falling oil prices. Bullish bets still outnumber bearish ones, but by the slimmest margin since August, according to data from the Commodity Futures Trading Commission. Investors have all but given up on OPEC’s efforts to rebalance the oil market. Moneymanagers’ net bullish position on U.S. oil prices has fallen to its lowest level since August. Prices ended the quarter on a high note, rising 2.47% Friday, after oil-field services firm Baker Hughes Inc. reported that the number of rigs drilling for oil in the U.S. edged lower by two, the first weekly decline since January, raising hopes that U.S. drillers are responding to lower prices by pulling back. During the last week of the quarter, prices of U.S. crude futures rose 7%—the largest weekly increase since Dec. 2, the week OPEC struck its deal to cut output. The seven-session streak of gains assuaged worries that prices were on course to fall below $40 a barrel. But the world is still awash in oil. “All the bearish things are kind of still in play” said David Leben, director of commodity derivatives at BNP Paribas . Even though many analysts still say that crude inventories are falling and that OPEC’s efforts will work, many investors are no longer buying it. Increasingly, the market is divided between those who believe that OPEC’s efforts are paying off and those who don’t. Saudi Arabia, OPEC’s de facto leader, has a lot riding on higher oil prices. The country is targeting oil prices of $60 a barrel to smooth the way for the initial public offering of Saudi Aramco, its national oil company. That is one reason some investors still hope that OPEC will make deeper cuts. Citigroup is among the firms that believe the market is actually getting tighter, but the firm’s analysts say for now, negative sentiment could be hard to shake. Citi analysts say the chances that Brent crude futures will climb to $60 by the end of the year are less than 50%, down from their previous estimate of a 65% chance. Brent settled at $47.92 Friday. “The fund community has been burned so badly as to reduce the likelihood of them jumping back in no matter what the fundamentals,” the analysts wrote in a June 26 research note. Goldman Sachs on Wednesday also cut its three-month forecast for West Texas Intermediate, the U.S. benchmark for crude, to $47.50 a barrel from $55. Investors are increasingly turning their attention to 2018, where the outlook is murky. Many wonder whether OPEC producers will unleash a flood of oil once their agreement ends. The Goldman Sachs analysts said there is a “shrinking window of time” for global oil supplies to fall before OPEC is tempted to start churning out more oil. That leaves the analysts “cautious of calling for a sharp bounce in prices here,” they said.